Despite Canada having more economic freedom than the U.S. in many areas as of 2010, there are threats to these and other freedoms. 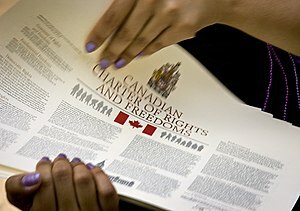 On October 1, 2010, a new unconstitutional law came into effect in one of Canada’s provinces, infringing on the rights of all Canadians. It will eventually be struck down as unconstitutional. But, unlike the U.S., Canadian representatives take an oath to the Queen, not the Constitution. While this is a law in only one of Canada’s 10 provinces that represents less than 2% of Canada’s entire population, every Canadian’s rights are potentially infringed by traveling in this part of their country. While the anti-liberty agenda of fingerprinting arrested individuals is still on hold eight months after I wrote an article on it, I warned that there could be other infringements on the cherished liberties of Canadians, and this is one such example. My comments on today’s PrisonPlanet.com article about 2004 Libertarian Presidential Candidate and constitutional scholar, Michael Badnarik, suffering a heart attack. Oddly, they were scrubbed. “I first heard his Constitution classes in January of this year, and they were so enlightening, accurate and inspiring.